Prominent church leaders Ross Wagner and Jim Miller will lead the 34th annual Whitworth Institute of Ministry July 13-17 on the Whitworth campus, in north Spokane. WIM provides clergy, laity, and their spouses and children with a week of spiritual encouragement, equipping for ministry, and inspiring worship. WIM will offer special tracks for participants this year, including a preaching track and a spirituality track. Throughout the week, Wagner and Miller will lead worship services, Bible hours and workshops. Other workshop leaders will include Whitworth theology and communications faculty members and one of the university's counselors. The public is invited to attend the institute's worship services Monday-Thursday at 7 p.m. in Seeley Mudd Chapel. President Bill Robinson will speak at the concluding worship service on Friday, July 17, at 10:30 a.m., in the chapel. Admission to the services is free. Pre-registration and payment is required for those who wish to participate in other WIM programming, including Bible hours, seminar tracks and afternoon workshops. For complete WIM details, a schedule of events, and to register, please contact the WIM program coordinator at (509) 777-4345 or visit www.whitworth.edu/wim. Ross Wagner, who earned his Ph.D. at Duke University, has taught New Testament at Princeton Theological Seminary for 11 years. He also serves as an elder at a growing congregation in Princeton, N.J. His research focuses on early Jewish and Christian interpretations of Scripture, the Septuagint, and Pauline theology. In collaboration with his colleague, Darrell Guder, he regularly offers courses on missional hermeneutics. Prior to teaching at Princeton, Ross spent several years on the pastoral team of a church in the Chicago suburbs. 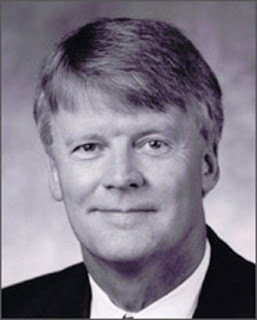 Jim Miller has been the pastor at First Presbyterian Church, in Tulsa, Oklahoma, since 1992, and he also serves as a trustee at the University of Tulsa and at Pittsburgh Theological Seminary. A native of Wilmington, Del., Miller received a Ph.D. in New Testament studies from the University of Edinburgh, an M.Div. at Princeton Seminary, and an A.B. in history from Wheaton College. His dissertation on the pastoral letters (I, II Timothy and Titus) was published by the Cambridge University Press in 1992. 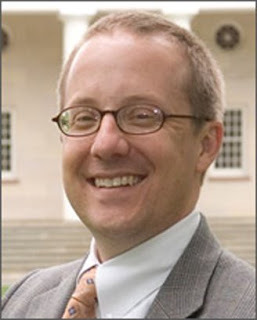 In the past, Miller has served as a pastor at congregations in Linlithgow, Scotland, and Indianapolis, Indiana, and he has worked as an adjunct professor of Greek at Wheaton College. Located in Spokane, Wash., Whitworth is a private liberal arts university affiliated with the Presbyterian Church (USA). The university, which has an enrollment of 2,600 students, offers 53 undergraduate and graduate degree programs.